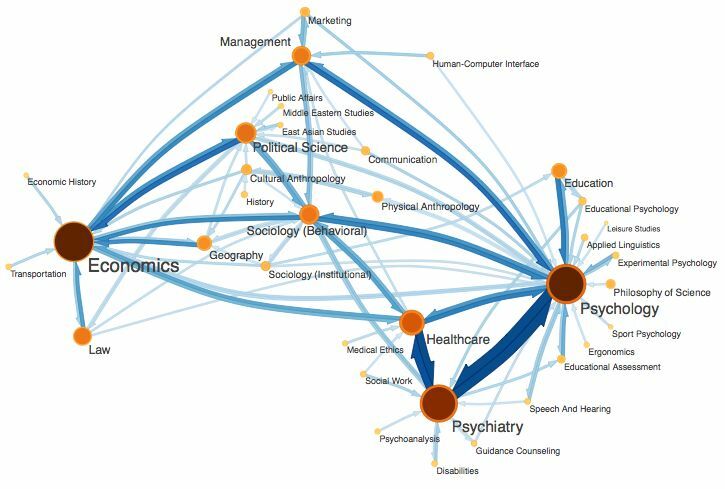 Ryan McAllister and others use the network mapping methods of Martin Rosvall and Carl T Bergstrom (see previous post) to analyze the research impact of Australian arid lands literature in the paper - McAllister et al. 2009. Research impact within the international arid literature: An Australian perspective based on network theory. Journal of Arid Environments 73(9) 862-871 (doi:10.1016/j.jaridenv.2009.03.014). 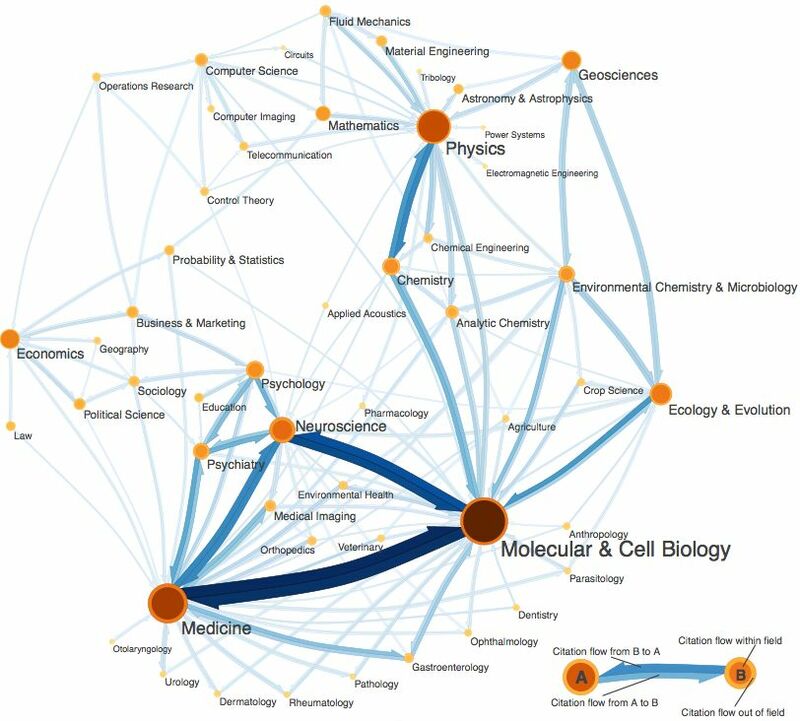 The figure below show the different research subfields McAllister et al. identified within arid lands research and the citation links among them. Figure 4. Linkages between 21 partitions of the Australian arid literature (based on GN-Mod – see Table 7). 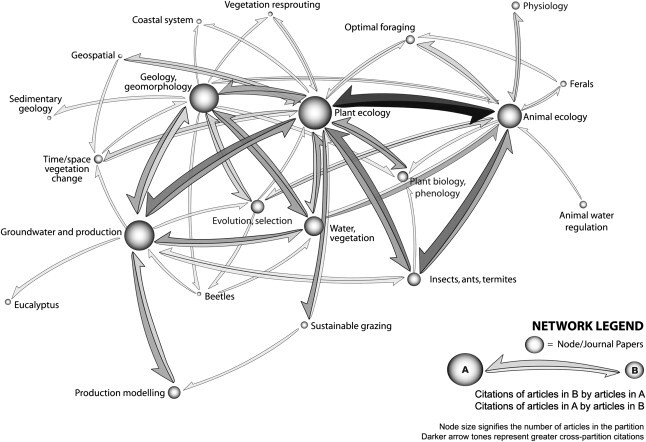 Location of authoritative-hub articles (from Table 3): “Animal ecology” contains (Buckley et al., 1987) and (Morton and James, 1988), and Stafford Smith and Morton (1990); “Plant ecology” contains (Ludwig and Tongway, 1995), (Mabbutt and Fanning, 1987), (Montaña, 1992) and (Tongway and Ludwig, 1990), and Tongway et al. (1989); and “Geospatial” contains Pech et al. (1986).